Why conduct an information security assessment? Information security should be at the forefront of your concerns in every third party relationship. The protection of your data, regardless of the size of your organization, and the protection of each individual customer are fundamental to the success of your organization. 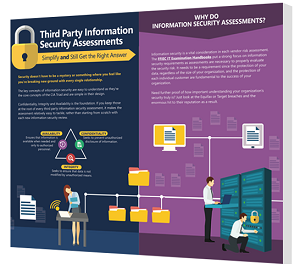 In this infographic, we'll walk you through what you should know about these assessments.